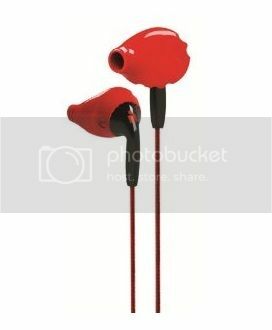 The Yurbuds Ironman Inspire PRO Performance Earphones has long cords that comes down to meet a plastic Y piece which servers as the separator for left and right buds. You can find a 3 function button located at the bottom of the Y. The volume buttons top and bottom are easy to notice and press, and the smooth center button is your pause, play and next track button. Single click would pause or play music, double click will skip to next track. This Yurbuds Ironman Inspire PRO are really fantastic at higher frequencies, they actually amplify and clarify treble sounds and are actually incredibly great for listening to audio books. You can notice that the narrator speaking is like right there in your ear. You can clearly hear audio books and music with clarity. However, it lacks deeper bass and some low frequency sounds. The Yurbuds Inspire PRO earphones are weak on bass compared to other brands. The Yurbuds Ironman Inspire PRO Performance earphones really fits tightly inside your ear canal and won’t fall easily during hard exercises like jogging or aerobics. But they can cause some ear fatigue and discomfort when left in for an extended period of time. The Yurbuds Ironman Inspire PRO’s sound quality was truly exceptional for audio books where you need treble and clarity, yet it underperforms in terms of deep bass.